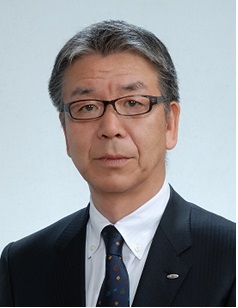 Naofumi Fujie has been Executive Vice President of Aisin Seiki Co., Ltd. since June 2014. He is one of the three Executive Vice Presidents and responsible for Research and Development function. Mr. Fujie was graduated from Kobe University with a Bachelor of Mechanical Engineering Degree in 1977. At the same time, he started his carrier at Aisin Seiki where he was mainly engaged in Research and Development for Body Components Engineering Department. In 2008, he was appointed Senior Managing Officer position until 2014 when he became Executive Vice President, Member of the Board of Aisin Seiki Co., Ltd. Spotlight on AISIN Seiki Co., Ltd.
(78 in Japan, 128 overseas) and a workforce numbering over 99,000 employees. AISIN is striving to become a truly integrated worldwide supplier through its group synergies in the field of automotive parts and systems and life and energy related business, supplying innovative and attractive products of unparalleled quality. In every region of the world, AISIN operates as a conscientious corporate citizen, dedicated to quality and innovation and to the enrichment of people´s lives through the art of `mono-zukuri´ (manufacturing of value- added products). AISIN provides a wide range of automotive parts and systems including drivetrain, brake & chassis, engine, body and information related products. As an example of our recent achievements, AISIN has developed Smart Handle, a smart key system which eliminated the lock and unlock button switch from the door handle, jointly developed with Toyota Motor Corporation, Denso Corporation and Tokai Rika Co., Ltd. The Smart Handle equipped on the Toyota `Crown´ has achieved quality appearance and high functionality, and has been well received by the users. With this system, the driver only needs to touch the door handle with the smart key in his/her pocket to lock or to unlock the door. The system helps the driver to quickly get in the car when it is raining or when you are carrying a lot of baggage. In the information related area, AISIN has developed Driver Monitoring System which prevents accidents due to inattentive driving, jointly developed with Toyota Motor Corporation and Toyota Central R&D Labs, Inc. 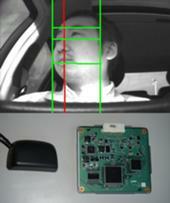 This system measures the driver´s facial angle to detect that the driver is not facing straight ahead for more than a certain period of time. As environmentally friendly energy products, we are currently developing a cogeneration system using residential fuel cell and dye-sensitized solar cells. AISIN continues research and development of cutting edge technologies in various areas, such as automobile, energy, information and optronic for the progress of our society.